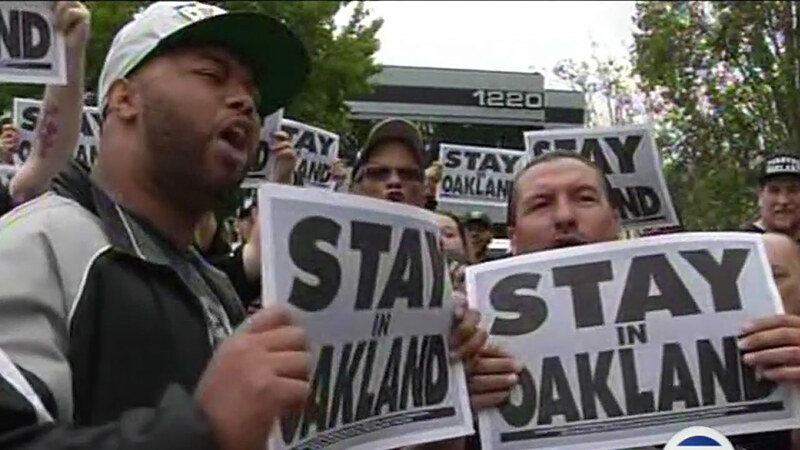 OAKLAND, Calif. (KGO) -- Raider fans determined to keep their team in Oakland hosted a party Saturday to let the team know they don't want them to move. "Forever Oakland" wants the Raiders to unveil their proposal for a new stadium to stay in Oakland. "The Raiders do not fit the image of Los Angeles. We are not a glitz and glam operation. This is a mom-and-pop, blue collar-type of shop around here. If they are to try to go to LA again, it'd be more or the same we saw last time. They lost their identity," said one of group's organizers. Fans are staging an all-night tailgate party leading into Sunday's game.